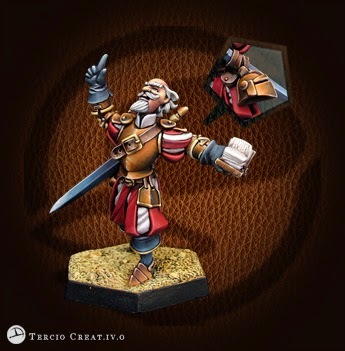 El Caballero, Mercenary Personality created by Jesús Sánchez for our I Stories Competition. 35 mm resin miniature. Hex base included.